Protests against the current government have been commonplace as of late, with most of these movements being driven by student leaders and youth activist groups. Keeping up with the times, DLSU has thus taken a step forward to undertake what is perhaps a revolution in academic practice. Committed to “building a just, peaceful, stable, and progressive Filipino nation”, the University intends to increase student participation in activism by introducing a couple of curricular changes in Academic Year (AY) 2019-2020. 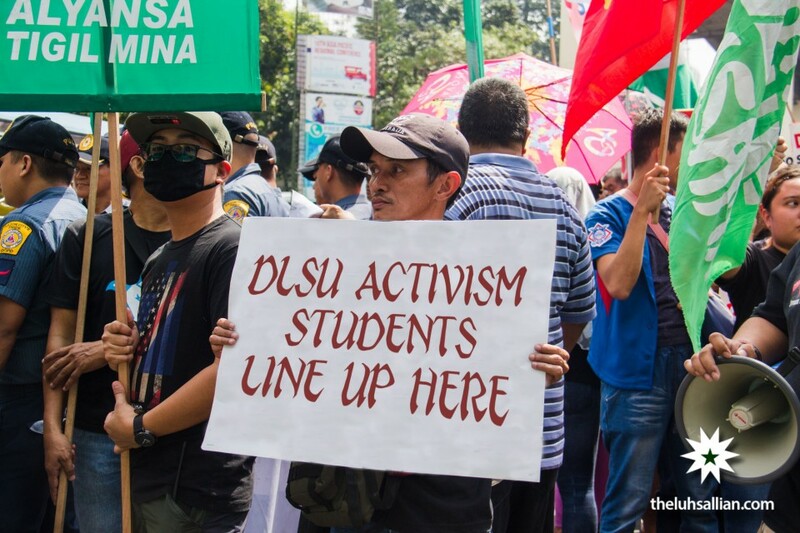 Soon, students may be required to complete a course on active socio-political engagement, which will help them better understand the finer details of activism. In an interview with The LaSallian, Vice Chancellor for Academics Dr. Merlin Suarez reveals the University’s plans to offer a three-unit activism course, tentatively called Introduction to Activism and Political Engagement (INACTIV). The syllabus is currently being finalized by the Political Science Department with the help of the Committee on National Issues and Concerns (CONIC), and is expected to be added to the flowchart of all current undergraduate DLSU students. She shares that the administration intends to make students active participants of the political process by teaching them the nuances of rallying. Specifically, the course will teach students how to critically approach hotly debated topics by basing it on facts rather than emotions. Suarez further adds that they are proposing to have modules tackling the history of socio-political movements in the Philippines and the art of argumentation and debate. “There is more to activism than simply being in the streets yelling and holding up placards. There are reasons why we fight for the things we fight for, and students need to know that,” she defends. As a learning outcome of the course, students will be required to attend one of the many rallies that occur around Metro Manila. After participating in the event, they will be required to submit a reaction paper and a photograph taken through the Huji Cam application to document their experience and to justify their presence at the protest. “This arrangement is still not final, but rest assured, we are trying our best to craft a program that will produce students that are not only socially active, but also critical thinkers,” Suarez explains. No stranger to rallies himself, De La Salle Philippines President Br. Armin Luistro FSC has been vocal in his support for DLSU’s initiative, pondering on the possible implementation of the activism course to all La Salle schools in the country. “The principles of Lasallian education teaches us that as Lasallian learners, we must express concern and compassion for the marginalized sectors of society. I do believe that participating in these activities is one of many ways we can help shed light on the issues around us to hopefully address and resolve them,” he elaborates. While administrators have shown their support for the new requirement, parents of DLSU students have been less welcoming. According to Atty. Dindo Garciano, president of DLSU-Parents of University Student Organizations (DLSU-PUSO), members of their group have been against the initiative ever since it was first introduced, stating that forcing students to the streets puts their lives at risk. “Parents are protective of their kids, which is understandable. But I have received reports from parents threatening to have their children transferred out of DLSU if this is enforced, so I think administrators need to review this again,” he explains. DLSU-PUSO Vice President for Internal Affairs Evangeline Valencia adds that well-off students usually have more restrictive lifestyles, which prevents them from participating in rallies. “There’s a reason why they enroll their students here, and not in other radical universities which I don’t want to name. But if DLSU decides to make it mandatory, parents might think twice about sending their children here,” she argues. Suarez acknowledges this concern, but defends that students will not be there on their own and will still be under the protection of University personnel. Br. Roberto Casingal FSC, chairman of CONIC, elaborates that logistical preparations are arranged for the University’s contingent in these events, with medics and security guards brought along to ensure the safety of participants from DLSU. Luistro, meanwhile, stresses that it would not be out of character to find Lasallians marching in the streets, citing the community’s deep and rich history with activism and participation in important causes. Ray Santos (II, CAM-BSA) fears that his parents might not allow him to partake in such movements, which might negatively impact his academic performance. “My parents are strict eh. They barely let me go out with my friends na nga because it’s dangerous, what more pa if I have to go to somewhere like Luneta with actual protesters? I might just fail this class,” he laments. DLSU students who frequent rallies were more open to the change, and were glad that the University has acknowledged the importance of lending support to such causes. Protest group member Ana Mendoza (II, CAM-MGT) expresses her joy when administration members approached her and fellow members on the prospect of having a mandatory activism course. “As a student, I always felt that the school wasn’t really trying its best to show support hence I spend more time engaging in rallies. The course might actually convince me to attend my classes more,” she explains.